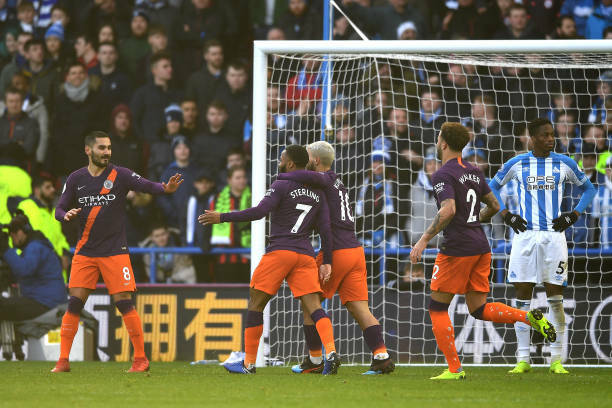 Manchester City has closed the gap on LIverpool at the Premier League with a comfortable win over Hudderfield at the John Smith's stadium. Danilo, Raheem Sterling and Leroy Sane all scored as Pep Guardiola's team closed the gap to four points after Liverpool 4-3 win over Crystal Palace on Saturday. Huddersfield were hapless against the champions, in the week after David Wagner left the club and Mark Hudson took temporary charge. They stay at the bottom of the table, with just 11 points.